Peter C. Mancall is the Andrew W. Mellon Professor of the Humanities and Professor of History and Anthropology at USC Dornsife College of Letters, Arts, and Sciences, and the Linda and Harlan Martens Director of the USC-Huntington Early Modern Studies Institute. He is the author of five books including "Fatal Journey: The Final Expedition of Henry Hudson–A Tale of Mutiny and Murder in the Arctic" (Basic Books, 2009); "Hakluyt's Promise: An Elizabethan's Obsession for an English America" (Yale, 2007) and "Deadly Medicine: Indians and Alcohol in Early America" (Cornell, 1995). 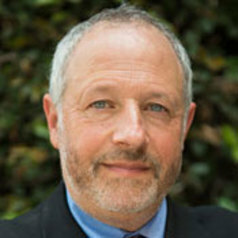 He is currently writing "American Origins," which will be volume one of the Oxford History of the United States, and "Lord of Misrule: Thomas Morton and the Tragic Origins of New England" In 2012 he delivered the Mellon Distinguished Lectures in the Humanities at the University of Pennsylvania. He is an elected fellow of the Society of American Historians and the Royal Historical Society and an elected member of the American Antiquarian Society and the Colonial Society of Massachusetts. His work has appeared in The Chronicle of Higher Education, Bloomberg Businessweek, and American Heritage and been featured on NPR's "All Things Considered" and "The Daily Show with Jon Stewart."